For decades, tradition has played a vitally important role throughout the Italian wine industry. 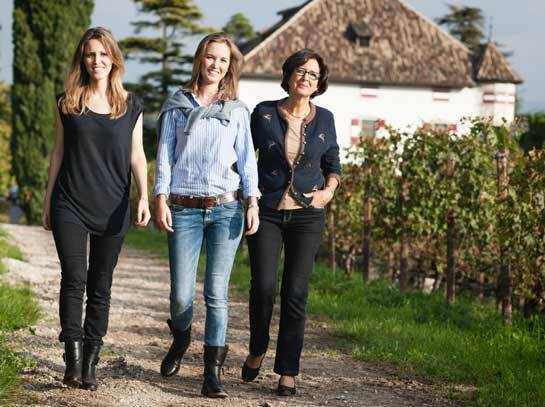 Today, second and third generation sons and daughters carry on the work of their parents and grandparents, crafting wines that bring with them the heritage of their land. It’s a finely etched portrait that truly defines a great number of wine estates. But little by little, there are some producers that enter the wine business through the side door. 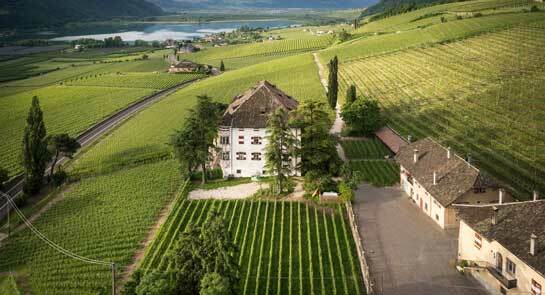 Elena Walch, among the finest producers in the northern Italian region of Alto Adige, is an example of this approach. Born in Milan, she moved to Alto Adige at an early age and became strongly tied to the traditions of this region, a territory where German influences in food and wine are a vital part of its identity. Walch studied to be an architect in Venice and soon after realized the work possibilities available in Alto Adige; she had her own studio there for years, where she was able to design, plan and construct a variety of projects. Today Walch and her husband own 135 acres of vines under cultivation; the most prized are two estates just outside the town of Tramin, namely Castel Ringberg and Kastelaz. The former, at 50 acres is the largest single contiguous estate in Alto Adige; it is planted to Pinot Grigio, Sauvignon Blanc (referred to simply as Sauvignon in this part of Italy), Chardonnay, Riesling, Lagrein and a small percentage of Schiava, a local red indigenous variety. Kastelaz, with its rare (for Alto Adige) full southern exposure, sits at an elevation averaging around 1150 feet and is planted to Gewürztraminer, Pinot Bianco and Merlot. Walch produces two lines of wines; a classic marque and the estate wines from these two vinryards. She has received great acclaim for the estate offerings, especially the Kastelaz Gewürztraminer, which has been awared a tre bicchieri designation — the highest possible — from the Italian wine publication Gambero Rosso for thirteen consecutive years, an almost unheard of accomplishment (this puts the wine in a similar status to Sassicaia, to make a comparison). Being honored for any wine is special, but it is especially fitting for Gewürztraminer, as Tramin is its spiritual hometown; the word gewürz in German means “spicy,” so Gewürztraminer is “the spicy one from Tramin.” There are a few dozen notable versions produced in the region, with the finest always seeming to originate from vineyards in Tramin. From the Castel Ringberg site, the Pinot Grigio and Sauvignon are also very distinctive wines, thanks to high density planting and low yields at this vineyard. The soil is composed mostly of chalk, which gives these two whites well-defined minerality. Another factor for the quality and complexity of these wines emerges from the cellar, as 15% of each wine is fermented and matured in barriques; this for added texture, which certainly sparks the Pinot Grigio, a wine that is too often one-dimensional in other parts of Italy. These are marvelous food wines; Walch recommends all types of pasta as well as fish terrine and risotto for the Pinot Grigio, while she is a fan of asparagus (grilled or sautéed) as well as stir-fried vegetables for the Sauvignon. Walch has a twinkle in her eye when she discusses the future of her winery. She is overjoyed that her daughters have joined her in her work; “the three of us now run the estate – it remains in the hands of women! We all work toward a similar goal – to produce wines of the highest quality. To achieve this, you need to start in the vineyard.